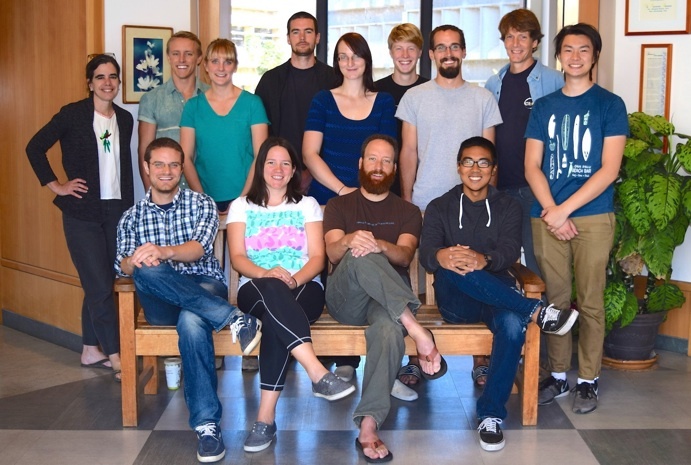 Welcome to The Nevitt Lab! The fundamental goal of sensory ecology is to decipher and interpret sensory-based interactions unencumbered by human perceptual biases, and to integrate that understanding into ecological theory. Back in 1869, Ernest Haeckel coined the word “Ecology” to describe the scientific study of how organisms interact with their environment. We work at this interface, focusing on questions informed by sensory adaptation and function. Current research themes explore chemically mediated signals and detection in various contexts, including pelagic trophic interactions, sexual selection, communication, foraging decisions, and ecological traps. As you can see by the pictures, we work a lot with seabirds. Dr. Nevitt is trained as a sensory ecologist, and she has been studying olfactory-mediated behaviors in marine animals for most of her career. Dr. Nevitt has worked extensively on olfactory imprinting and homing in salmon as well as sensory mechanisms underlying homing and navigation in spiny lobsters. Concurrently, she has pioneered the chemical ecology of birds, and, in particular, how tube-nosed seabirds (petrels and albatrosses) use chemical cues to forage across vast stretches of featureless ocean and to ‘smell’ each other apart in breeding colonies. 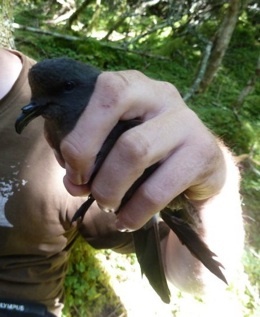 An over-arching goal of the Nevitt lab is to develop the Leach’s Storm-Petrel as a model system for exploring how genetics, immunity, and demography shape chemical signals in a wide-ranging bird. Increasingly, our work intersects with major environmental concerns of our time: climate change, marine pollution, habitat degradation, and by-catch issues in marine fisheries. An important application of our work is to provide a more complete understanding of how marine organisms may be affected by these impacts so that mitigation measures can be better informed. Please enjoy exploring our site!